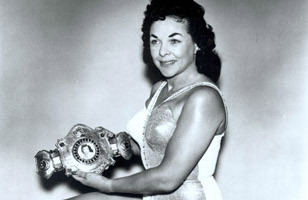 - NWA World Women's Title Tournament (September 18, '56) = Slave Girl Moolah defeated Bertha Watson, Jennetta Collins, and Judy Grable to win the tournament. - Los Angeles Memorial Coliseum Spectacular (August 27, '71) = The Fabulous Moolah retained the World Women's Title, beating Betty Niccoli. - WWF Wrestlemania II (April 7, '86) = The Fabulous Moolah retained the World Women's Championship, defeating Velvet McIntyre. - NWF Superbowl of Wrestling (August 12, '72) = The Fabulous Moolah kept the World Women's Title, winning over Vicki Williams. - WWWF Showdown at Shea (September 30, '72) = The Fabulous Moolah stayed the Women's Champion, taking down Debbie Johnson. 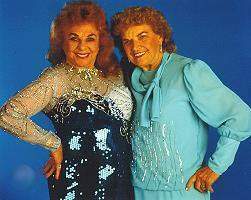 - WWF Showdown at Shea (August 9, '80) = The Fabulous Moolah & Peggy Lee fell to Kandy Maloy & Beverly Slade. - WWF Brawl to End It All (July 23, '84) = The Fabulous Moolah lost the WWF Women's Title to Wendi Richter. - WWF Saturday Night's Main Event #1 (May 10, '85) = The Fabulous Moolah lost to the WWF Women's Champion, Wendi Richter. - WWF Paul Boesch Retirement Show (August 28, '87) = The Fabulous Moolah lost to the WWF Women's Champion, Sherri Martel. - WWF Survivor Series '87 (November 26) = The Fabulous Moolah, Rockin' Robin, Velvet McIntyre, & the Jumping Bomb Angels fought in an "Elimination" Match against Sherri Martel, Lelani Kai, Judy Martin, Donna Christanello, & Dawn Marie. 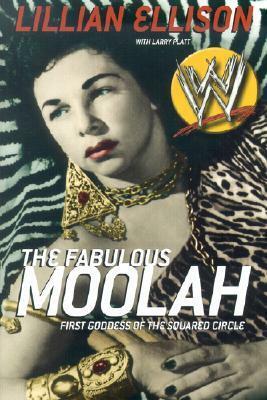 Moolah was eliminated by Martin. The Jumping Bomb Angels 'survived'. 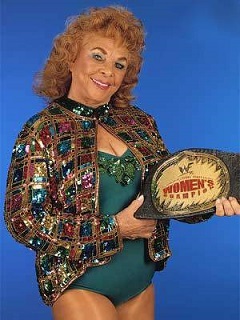 - WWF No Mercy '99 (October 17) = The Fabulous Moolah won the WWF Women's Title, beating Ivory. - WWF Survivor Series '99 (November 14) = The Fabulous Moolah, Mae Young, Debra, & Tori won over Terri Runnels, Ivory, Jacqueline, & Luna.